Our ministry is going well because of your great commitment and effort next to the Lord. I do not have enough words to convey my appreciation for your great contribution, concern and prayer. May the Lord bless you in abundance! Muhaba, our admin and finance and I went to Merehabate Zone to visit churches on Friday and came back today. We conducted mission and good governance trainings and we organized the zone committee. 10 church leaders were there on the training session. We encouraged them to be involved in church planting actively. 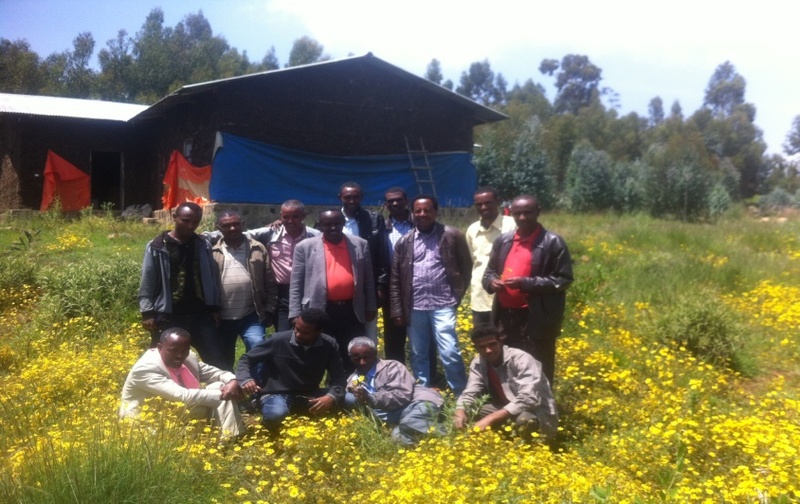 We visited Fetera, Alem Ketema, Meragna, Degolo and Shilafaf churches. Our meeting and training was in Meragna church. 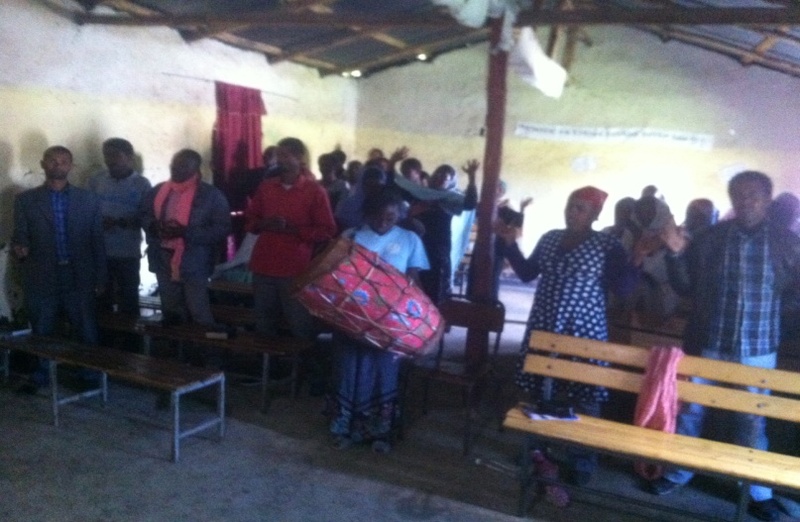 I preached at Degolo church and Mohaba preached at Shilafaf church. Church leaders who were on mission and good governance training. The picture was taken in the Meragna church compound. The house is their church and offices. 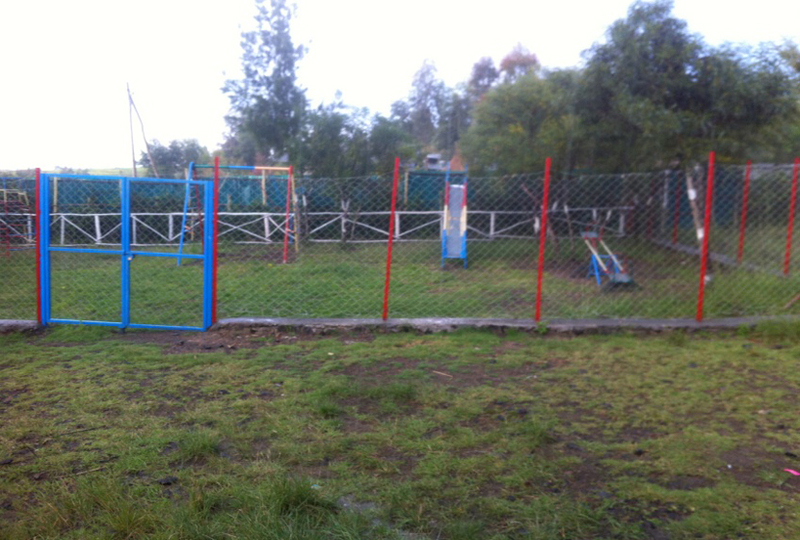 As you know we have compassion assisted projects at Fetra and Alem Ketema. When they started the project, there was big persecution and challenges from the community and from the government officials. But now everything is changed completely due to the work has been done. 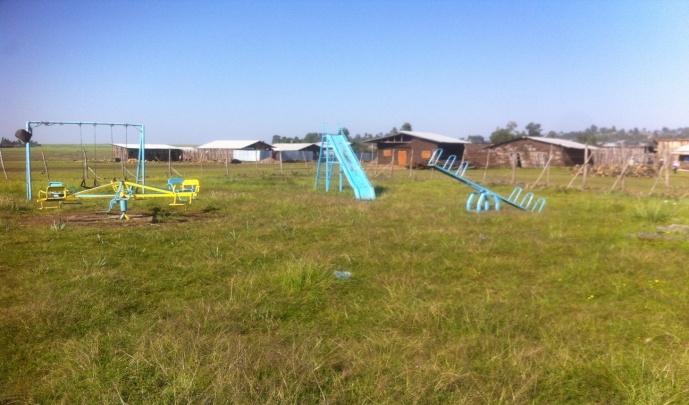 The projects have got budget from compassion to purchase play grounds. And they purchased play grounds with more than 250, 000 EB. It serves as a bridge to associate with the community and many youth are coming to the church compound and the churches, Fetra and Alem Ketema are able to communicate people with the gospel. It was unexpected to start project at Fetra church with 15 church members according to the policy of CIE. It was started by faith and we are able to see the fruits. Fetra church has huge size of land and they are starting to build prayer/worship hall which is 10 by 20 size. It is very much encouraging. I am surprised what they are doing in the area and they are building good reputation at the midst of the community and government officials. The church leaders and ministers are trusted by the people and the government. They finished their three years agreement and they made other three years agreement within a week. This shows that how much the project and the church impacts the area. Praise be to God. 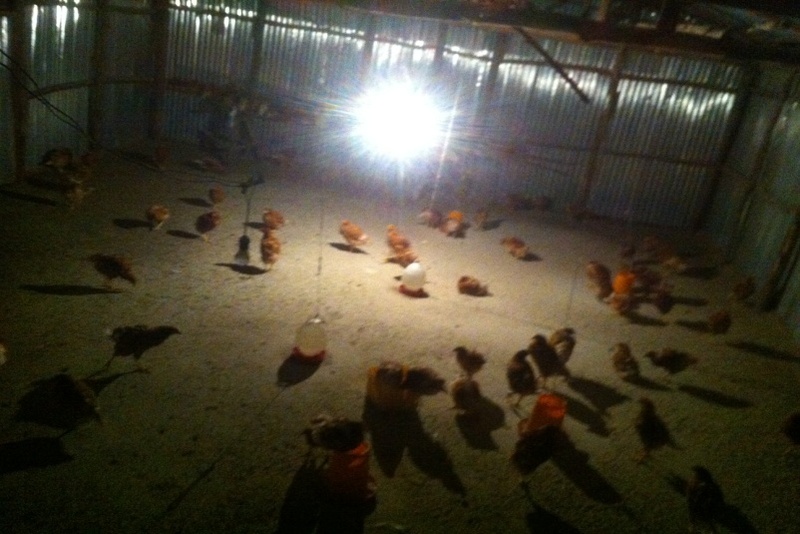 The project at Alem Ketema church started poultry project, IGA for beneficiaries and they do have around 186 hens. As I said earlier, we conducted our training for zonal leaders at Meragna church. And I got the opportunity to talk to them. They do have 42 church members and there are strong leaders, for they have been tested by strong persecution. Surprisingly, they built good worship hall though they need to finish the finishing work. God has provided them by using a woman who was working in Middle East as a house worker. She came to visit them and she asked their needs and she supported the church 120,000 EB. This is just divine provision. Is not it? They have passed through strong persecution. But by now they are bold enough to witness the gospel. They do not have fulltime pastor. They need your prayer. They do have large size of land. And I am convinced that they are able to run the child development project if we can make it available by dealing our partner, CIE.
Mohaba went to Shilafaf on Sunday and he preached there. Many of the church members are farmers. What I heard is that Shilafaf is serving as a spring/sources for many Christians. 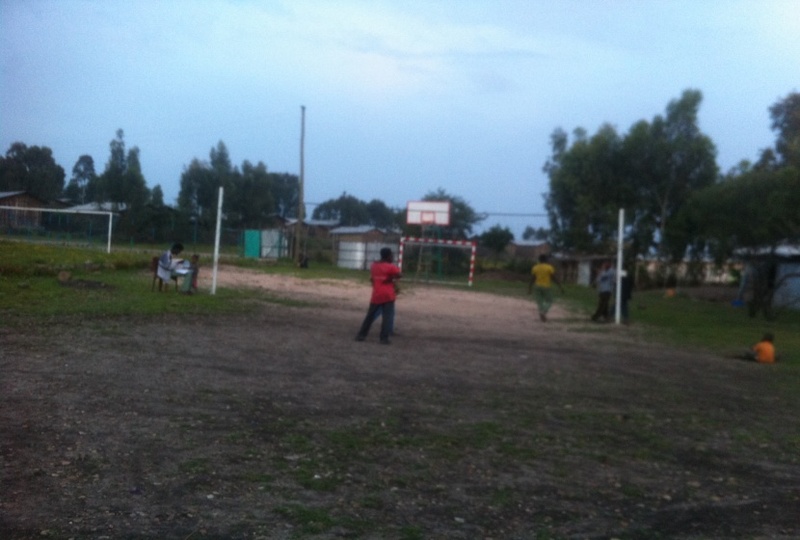 Many Christians who are serving at Degolo and even Meragna’s church like Keya’s/Zigba and Akafe church. Many of us came from the place where missionaries preached the gospel for the first time. God is working everywhere.